Saturday June 8 was Goal Day for many B.I.T. athletes and across the board, goals were achieved. 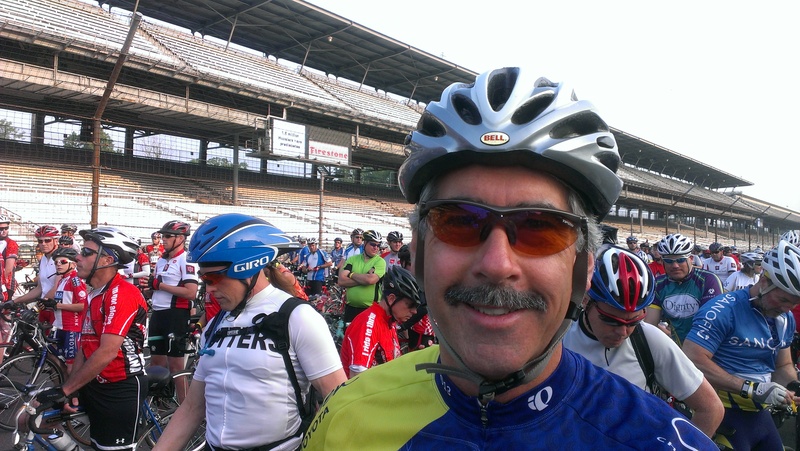 Several athletes participated in the Tour de Cure at the Indianapolis Motor Speedway while others ventured further from home to test their mettle. Leading the charge at the TdC was David Kaplan. Schedule restraints and a love for speed skating prevented David from joining regular classes through last fall and winter, but David did join us on Sundays through the winter. Wanting to improve his cycling performance and still maintain his skating prowess, David hired me last October to oversee his training through the 2013 season with a main goal of finishing the TdC 100 miles in under 4 hours. Like those of you who came to the week night classes, I put David through a winter of hi cadence, hi intensity intervals to improve his efficiency. Furthermore, David worked hard to lose weight, dropping over 10 lbs. by this year’s TdC. I tailored David’s training to shorter, more intense workouts to improve his speed and to put more emphasis on his cardiovascular system, thus allowing for more improvement over the fall and winter. He had plenty of endurance before we began last October, thanks to so many rides of 50-60 miles in that Z3-Z4 area. What David lacked was that Z5+ extended range. In essence, he had a match or two, but not a book of matches, so we trained him to develop a book of matches. During Saturday’s 100-miler, David cruised in the big pack through the first 65 miles, but as the miles ticked away what was once a 50+ person group had dwindled to 15 or 20 hardy souls. In the smaller group, David was required to take more pulls at greater effort, yet he never wavered and even had enough left for a 200 M sprint at the end, finishing with a time of 3:54:30 for an avg. speed of 25.4 mph. Well done, David! Ashley Koss came to class last fall a little wide eyed, but full of determination. Early on, she struggled to attain the higher cadences we often practice in class, but by mid February, Ashley was cranking 150 rpm with the rest of us. Ashley was joined by Anthony Barr on the 75K leg of the TdC, completing the event with a bit of soreness, but also with plenty of steam. 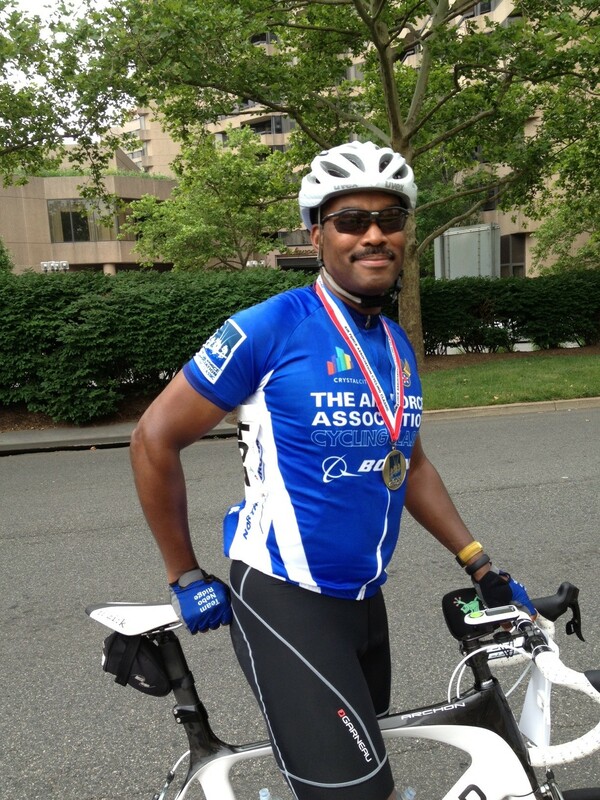 Anthony was gracious in riding with Ashley, exhibiting the camaraderie we work to maintain in the B.I.T. community. 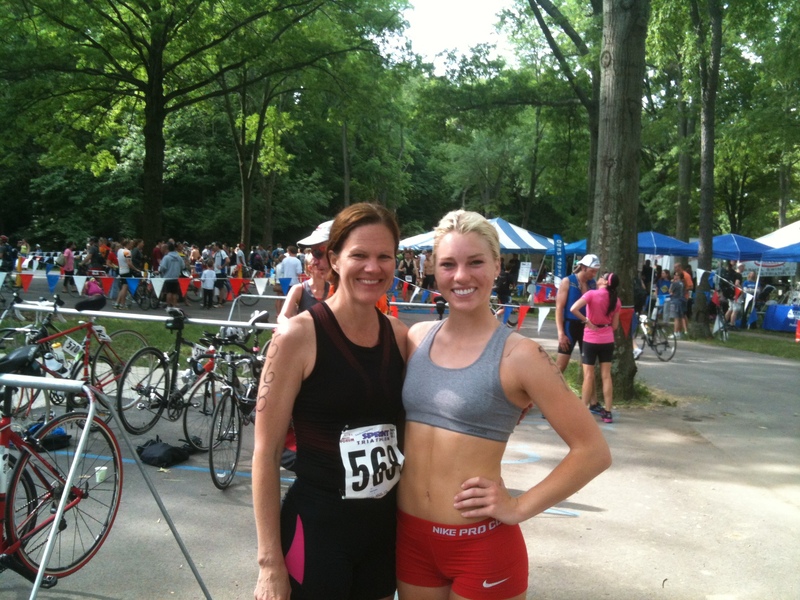 Anthony’s wife, Robin participated in the Midwest Women’s MTB Clinic in Brown County. Robin’s participation was a step out of her comfort zone; her previous cycling experience consisted of B.I.T. classes and group rides, many of which have been ridden with Ashley. Robin came away from the clinic with even more enthusiasm for two wheel adventures and this despite taking an over the bars tumble toward the end of the clinic. Robin handled the initiation with aplomb, suffering only a minor bruise to her ego, but no such dent to her determination to add more such adventure to her cycling life. Andy Waggoner came to the TdC with the goal of averaging 20 mph for the 100 miles and came ever so close, finishing with a final avg. of 19.62 mph. Andy was happy with that outcome and looks forward to going even faster next year. Others who participated in the TdC include Larry Stevens, Preston Conrad, Josh Ginsburg and Terry Iwasko, who this week is on the one week TRIRI with his son. Terry suffered a broken arm last winter after a spill during an outdoor ride, but never wavered and continued attending class while riding with one arm in a cast. He still struggles a bit to overcome the weakness in the formerly broken arm, but gains strength each week and obviously, hasn’t let the limb deter his ambition. Adam Perler raced in the Festival of Speed in the Match Sprint competition last Friday night. Adam’s first race was a learning experience. Pitted against a much more experienced rider, Adam was caught off guard by his competitor’s early attack. To his credit, Adam closed the gap, but could not pass the other rider before the finish line. On the upside, Adam lowered his flying 200 Meter time from 13.1 to 12.4 seconds. His overall goal is to drop below 12 seconds. Adam also rode in the TdC. Many thanks to Adam for tending to Frank Oboh until Frank was taken to the hospital. Phelgar Washington traveled to Washington D.C. to ride the Air Force Challenge, a fundraiser for the Wounded Warrior Project. Phelgar’s goal was to earn the gold medal presented to those who ride the Metric Century in less than 3.5 hours. Mission accomplished. See the photo of Phelgar with his Gold. Let’s all continue keeping Frank Oboh in thought and prayer while he recovers from the concussion he suffered during a spill at the TdC.